Disclosing someone’s religious affiliation to the federal government constitutes an unfair practice and a violation of state discrimination laws, as a result of legislation signed into law Wednesday by Gov. Jay Inslee. House Bill 2097, sponsored by Rep. Derek Stanford, D-Bothell, mandates the same protections against religious discrimination as contained in companion legislation in the Senate sponsored by Sen. Guy Palumbo, D-Maltby. Exempts personal information about an individual's religious affiliation from disclosure under the state Public Records Act. 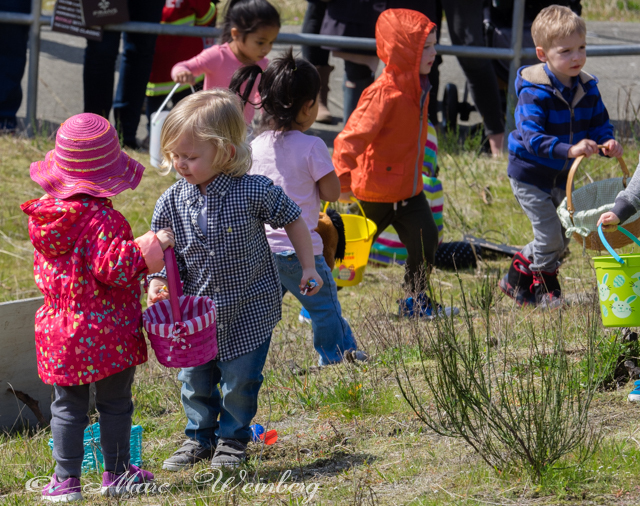 Rich Sewell, a firefighter with the Shoreline Fire Department, was the master of ceremony for the Easter egg hunt at Richmond Beach Saltwater Park on Saturday, March 31, 2018. This was the 63rd time that the fire department has hosted the event. The turnout was huge for Saturday's event which was very well organized. The kids had a great time. Shoreline resident Chada Jaisook brought her son, Thorin, to enjoy the adventure of the hunt. Thorin was styling out with his bow tie and rabbit ears. Shoreline's Fire Department had placed the plastic eggs early Saturday morning in three different age appropriate areas. All the eggs contained a treat but there were also numbered eggs as well as golden ones that won big time prizes. The older children got a more challenging hunt. It was apparent that the crowd had a great time watching the kids. 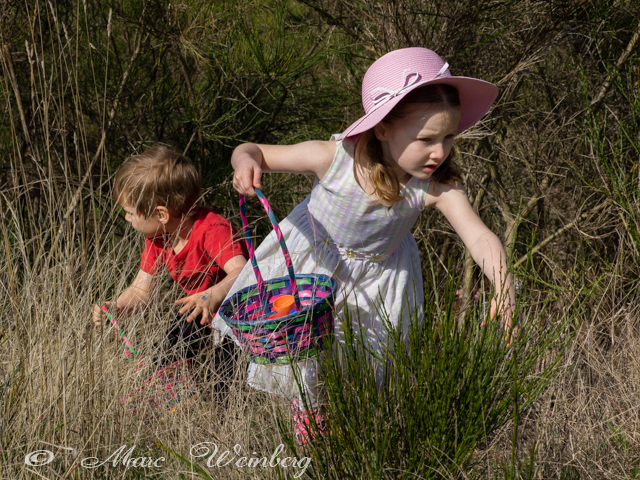 The kids were ready and excited to hunt for the hundreds of Easter eggs. There was a high degree of cuteness during the event. Register online by Tuesday, April 3, 2018. Or register in person day of at 10:45am. Event starts at 11am. Your creation should be inspired by a book, or pun on a book title, and made out of edible ingredients—sweet or savory. It may look like a book, tablet, or scroll ... or be completely unique. Check out Pinterest for inspiration. It’s free to participate and you’ll be eligible to win fabulous prizes from Third Place Books! This event is free and open to the public. And just so you know - on Saturday after the judging people are going to eat your creation - so take your photos ahead of time! The event is sponsored by the Shoreline-Lake Forest Park Arts Council, a 501(c)(3) nonprofit organization whose mission is to cultivate creativity and inspire our community through the arts. I asked Bruce Hill, who lives on Bitter Lake, if he had any photos of eaglets. He responded something to effect of "that would be a miracle" and then sent me his best bird photo as a consolation. 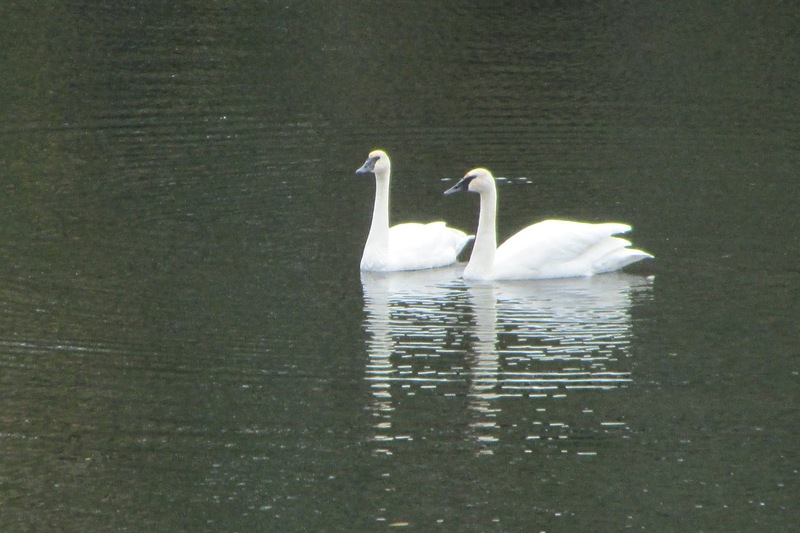 So here we go - two young swans who briefly visited Bitter Lake in 2016 when Bruce had his camera pointing in their direction. Join us for an evening of comedy with Brad Upton and friends! Enjoy some laughs and help raise money for Shorecrest's 2018 Senior Spree event and Track and Field! Spree is an all-night graduation celebration co-sponsored by the Shorecrest PTSA and GRAD NIGHTS. It takes place right after graduation. A limited number of tickets will be available at the door for $15. Brad Upton "Hilarity for Charity" is a past winner of the Las Vegas Comedy Festival and appeared recently at Caesar's Palace as part of the HBO Comedy Festival. He has spent the last eight years as the opening act for the legendary Johnny Mathis and did multiple shows all over the country with the late, great Joan Rivers. Since 2007 he has coached the hurdlers at Shorecrest High School. 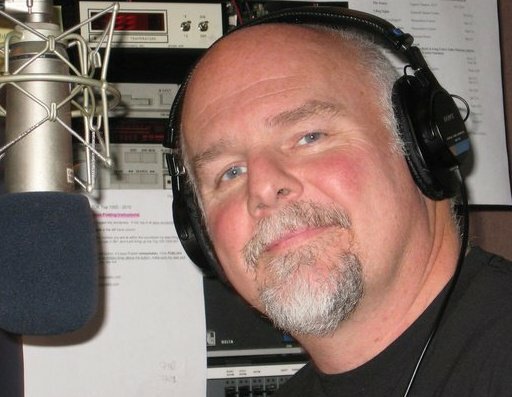 Brad mixed his Track and Field background with comedy and served as the on field announcer at the 2014 USA Track and Field Championships in Sacramento. Get ready to hear the nostalgic sounds of hydroplanes on the Sammamish River in Kenmore! 192 Brewing Company and the Seattle Outboard Association proudly present the fifth Annual Kenmore Hydroplane Cup on April 7. The opening ceremonies start at 10:00am with races taking place between noon and 4:00pm. 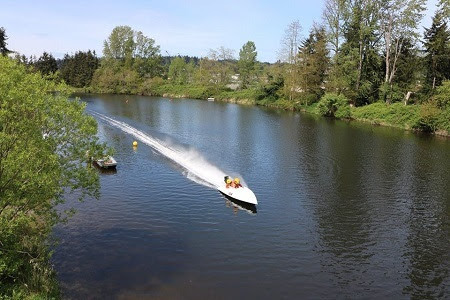 The two- and three-cylinder outboards will leave the Kenmore Boat Launch, 17150 68th Avenue NE, for a timed exhibition race at the entrance to the river. Kenmore native Kay Myers Brewer will be announcing the river race along with Jim Olsen. Drivers will individually race upriver past the Boat Launch, Squire's Landing Park, around the bend to Kenmore city limits, and return back to the Kenmore Boat Launch. The best viewing areas will be on the Sammamish River Bridge multi-use path and at Squire's Landing Park, 7353 NE 175th Street. Admission is free for the event. The Vintage Inboards will be doing a show and shine at the Kenmore Boat Launch, so be sure to bring a camera. On Friday, April 6, the community is invited to the Fifth Annual Hydro Happy Hour at the 192 Brewing Company, 7324 NE 175th Street. Come meet drivers past and present and view the hydroplanes on display. This historic event brought the community to the banks of the Sammamish River between the years 1938 and 1976. The event idea was reintroduced to the community after local artist Amberly “Gaul” Culley organized the Sammamish Slough race exhibit at Kenmore City Hall in 2013. This year, you are invited to witness history in the making. Bring your friends and family out to create your own Sammamish River hydro memories. At their March 26, 2018 meeting, the Shoreline School Board unanimously voted to approve a recommendation to adopt a partial release calendar model to support student success through a research-based instructional professional development model. This will change next year’s school calendar (2018-2019) from a 175-day school year with full non-student days throughout the year to a 180-day school year with a weekly 90-120 minute early release for students on Wednesdays when there are five days of school. There will not be an early release during weeks when there are not five days of school, such as weeks with holidays or other non-student days. The final length of the early release (90-120 minutes) will be determined this spring and announced in a future communication. Having heard from families and anticipating that this change will have an impact on families and create childcare / after-school supervision needs, Shoreline Schools has partnered with the Dale Turner Family YMCA, City of Shoreline, as well as expanding the Children’s Center’s ability to serve more students, in order to meet those needs. Recognizing that families who may want to access those childcare options on the partial release days may face financial issues, the School Board approved offering scholarships of $50 per month for the first year for students who qualify for free or reduced priced meals to help ease the transitions. Learn more about childcare and after-school supervision options offered by the Children’s Center. Learn more about childcare and after-school supervision options offered by the Dale Turner Family YMCA. To support middle school students on partial release days, the Hang Time Program hours will be extended on those days. You can find more information on the Einstein Hang Time Program and about the Kellogg Hang Time Program. The City of Shoreline will also extend their Teen Center hours at the Richmond Highlands Recreation Center on partial release days for high school students. There is no fee for the Teen Center. Learn more about the Teen Center HERE. Read the Frequently Asked Questions below to learn more about the partial release calendar recommendation adopted by the School Board and how it was developed. Q1. Why did the District adopt a weekly partial (early) release day? Q2. Won’t this result in less instructional time for students? With implementation of a partial release model, the amount of instructional time for students will be restructured with little to no reduction in overall instructional time. Shoreline will return to a 180-day student year, adding back five full days of school, and lengthen the existing early release days. Although we have not finalized the exact length of the early release days, we expect the release to be between 1 ½ and 2 hours per release day. Shoreline will continue to meet or exceed the minimum hours of instruction required by the State of Washington. Q3. Why have the early release day on Wednesday? Why not Monday or Fridays? Being able to adequately staff after-school programs is one of the top considerations in recommending early release on Wednesdays. We have heard from our Children’s Center Extended Care supervisors and partners at the Dale Turner Family YMCA and City of Shoreline that finding staffing for that short period of time on Mondays or Fridays would be difficult to staff and lead to limits on the numbers of students we could serve in those programs. Q4. How was this recommendation developed? A joint committee convened in the 2015-2016 school year to examine a best practice professional development model that research has shown supports higher levels of academic achievement for students. Recognizing that this model of instructional professional development would have a direct benefit to our students, the committee began presenting their recommendations and collecting feedback from families, staff and community in the spring of 2016. While there was high support for providing teachers with the most effective professional development and collaboration model, there were concerns expressed about the limited options for childcare on those partial release days. Recognizing more after school supervision options needed to be developed before considering adopting the partial release model, the Board of Directors authorized additional study through the Partial Release Stakeholder Advisory Committee (PRSAC) to study the impacts of a partial day release model and seek partnerships to develop programs to meet families’ needs on those days. The committee has met throughout this school year and developed a number of partnerships to provide options for all families who want to access them. The PRSAC recently held a series of community meetings to present their recommendation and shared information on the additional after-school options that would be available on the partial release days. The committee also collected feedback and answered questions from attendees. They presented their recommendation to the School Board on March 12, 2018 and the Board unanimously approved the recommendation at their March 26, 2018 meeting. Q5. Who can I contact if I have any questions? If you have any questions, please feel free to contact your school’s office or the District Public Information Office at (206) 393-4412. 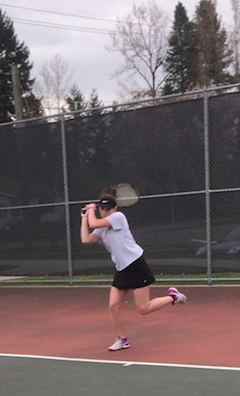 Shorecrest won all their singles matches and lost all their doubles against Edmonds-Woodway on Friday. You likely know someone who has made life better for others. That someone might be a friend, a teacher, a doctor, a pastor or anyone. You can gain recognition for that deserving person by nominating him or her for an American Legion Life Changer Award. It’s easy to nominate someone and a successful nomination will provide a wonderful reward for that deserving person. See They Changed Lives to read about previous winners. To make a nomination, write up to 300 words describing how your nominee made life better. Include the full name, address and phone number of the nominee, as well as your full name, address and phone number. Then, before May 1, 2018, email the nomination. Or send the nomination to American Legion Post 227, PO Box 55193, Shoreline, WA 98155-0193. 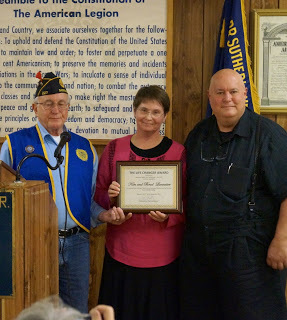 The Life Changer award is sponsored by the Starr Sutherland Jr. Post 227 of the American Legion. Post members will select the winner. The winner will receive a framed certificate plus a $200 gift certificate for dining at the enchanting Sky City restaurant atop the Seattle Space Needle. Any questions about the awards program can be directed to the above email address. That special someone, who has made life better for you or for others that you know, deserves recognition and YOU can get it for him or her. Insurance Commissioner Mike Kreidler recently approved a new regulation to help stabilize the individual health insurance market by increasing the number of geographic areas an insurer can use to set rates. Insurers are allowed to vary how much they charge their enrollees depending on provider reimbursement costs in different parts of the state. Previously, Washington was divided into five rating areas. The new rule increases the number of rating areas to nine. Each area is assigned a rating factor based on provider reimbursement costs. This is just one of the factors insurers can use to calculate premiums for enrollees who live in that geographic area. “By increasing the number of rating areas, we can more accurately reflect the experience of the insurers in our market and provide incentives for them to offer coverage in more parts of the state, especially in our rural areas,” Kreidler said. To protect consumers from excessive differences in premiums from one part of the state to another, Washington is one of a few states that caps the allowable difference in premiums. The new rule gives insurers willing to offer individual health insurance coverage in most or all of the counties in the state somewhat greater latitude in setting their premiums. “We anticipate this will encourage insurers to offer individual health insurance in more counties,” Kreidler said. The type of plan they choose. “More than 300,000 people in Washington state buy their health insurance in the individual market and they’ve faced tremendous uncertainty this year because of deliberate actions by the federal government,” said Kreidler. Kreidler proposed legislation this year to create a state-based reinsurance program for the individual market similar to the federal reinsurance program in place under the Affordable Care Act from 2014-16. Kreidler’s proposal would have lowered premium increases by up to 10 percent. The Legislature supported the proposal but could not reach agreement on a funding source. “I’m committed to using every tool we have to stabilize the individual health insurance market – including proposing a reinsurance program again,” Kreidler said. 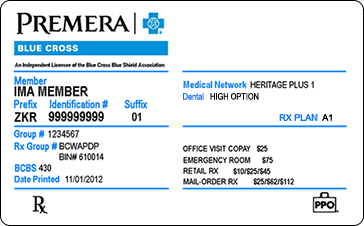 In light of the new rule, one insurer – Premera Blue Cross – has already committed to cover any potential “bare” county in 2019. 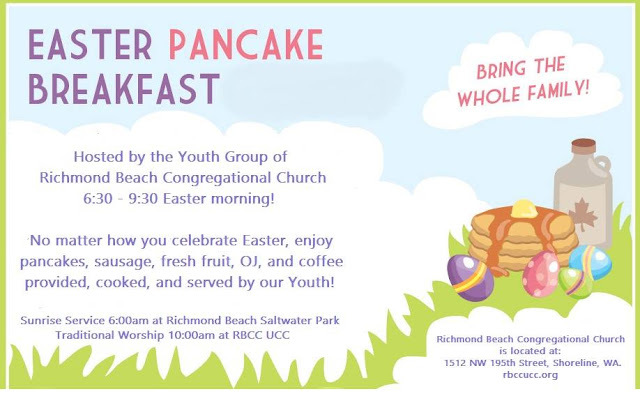 Easter Sunrise Service held at Richmond Beach Saltwater Park, lower shelter on beach. Dress warmly and join us to greet the sunrise with a warm fire, scripture, song, and communion. No matter how you celebrate Easter, enjoy pancakes! Rep. Jayapal intently listens to constituents’ questions during the Town Hall at the Edmonds Senior Center. 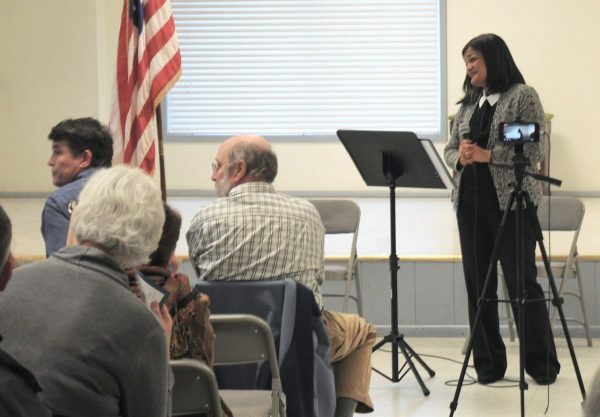 U.S. Rep. Pramila Jayapal returned to Edmonds on Thursday, March 29, to host a town hall meeting at the Edmonds Senior Center for her 7th District constituents. “The Edmonds Senior Center is such an important place. It’s such an important community, location and center, and I’m so blessed to have this in my district,” she began. For the first half hour, Jayapal talked about a few topics for which she is fighting and she believes the 7th District cares about before answering constituents’ questions. Jayapal came as an immigrant to America alone with nothing in her pockets at age 16. Today, she is in the U.S. Congress as the first Indian-American woman ever elected to the House of Representatives and the first person of color ever in the Democratic delegation for our state. Jayapal shared that the 7th District is the most engaged congressional district in the country. 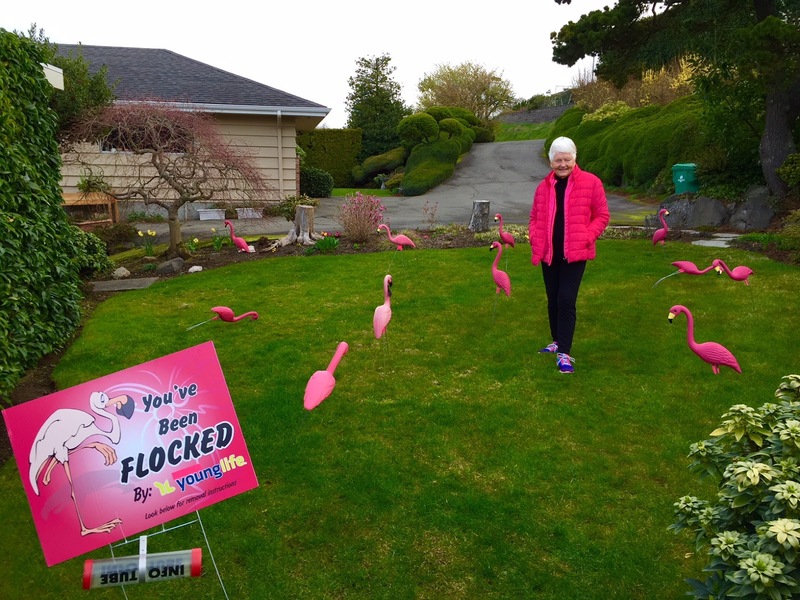 This means that her D.C. office gets the most mail, email and phone calls of any district in the country, adding up to almost 300,000 in the 15 months since Jayapal has been elected. Jayapal said she also likes hearing from her constituents in person. This is her 15th town hall, one for every month she has been in office, and her second in Edmonds since being elected. After introducing her team members who were present, she reminded the crowd about her case work. “You can always contact us if you have any issues with a federal agency,” she said. Her team has closed over 500 constituent cases so far, and has been able to get $581,259 back for 7th District constituents. This statement received a round of applause. Jayapal said she wants to bring hope to people who have felt traumatized around the country since the presidential election and let them know people are fighting. The first issue she talked about was expanding Medicare for all. With hopes of Democrats taking back control of Congress in November, she is starting a Healthcare for All caucus, which would move health care to a single payer system. The Affordable Care Act has influenced the majority of Americans to believe healthcare is a human right, she said, but there are still issues related to people getting quality affordable health care. Jayapal said she believes the best way to achieve this is to have a government-funded system that takes the profits out of the health care system. Second, she talked about expanding and protecting Social Security. Jayapal said she views Social Security as a collective program where everyone’s dollars are going toward taking care of each other. “It is not an entitlement program, it is an earned benefit program,” she said. Third, she wants to tackle student debt. She has introduced a bill called College for All, which Sen. Bernie Sanders also introduced in the Senate. They want to push college as an affordable option for anyone. Additionally, she said she’s been working diligently on immigration issues, something with which she’s very familiar. She also worked on a bill related to reforming the U.S. detention system and stopping the use of private detention facilities. The last topic she wanted to briefly share was democracy reform. The crowd responded with a round of applause. Jayapal said she wants a public financing system for elections and has created a set of five bills all around election reform. “We do have to fight against a lot of things that are happening right now in our country that we are pushing back on,” she continued. “We have a president who likes to be the star of his own reality TV show and likes to govern in chaos. Likes to operate in chaos — I can’t call it governing . . . My biggest concern is we don’t get numb to what’s happening, that we don’t allow the unacceptable to become acceptable” she said. Jayapal talked about her meeting with students affected by the Parkland school shooting and encouraged her constituents to recognize the fight young people are making. She said she was in Washington, D.C. for the rally, where more than half a million people came to march. The Parkland students came to see her the day before the rally to talk about gun reform. All were high school freshmen. The remainder of the meeting covered topics such as tax reform and the Omnibus budget before Jayapal answered constituents’ questions. Attendees expressed concerns about pharmaceutical drug prices, access to health care, immigration, subsidies on meat, gun violence and the housing crisis. A 12-year-old student activist for gun reform and school walkouts asked what the biggest issue is for young people. Jayapal returned the question to him to answer, and he responded that it was gun violence. 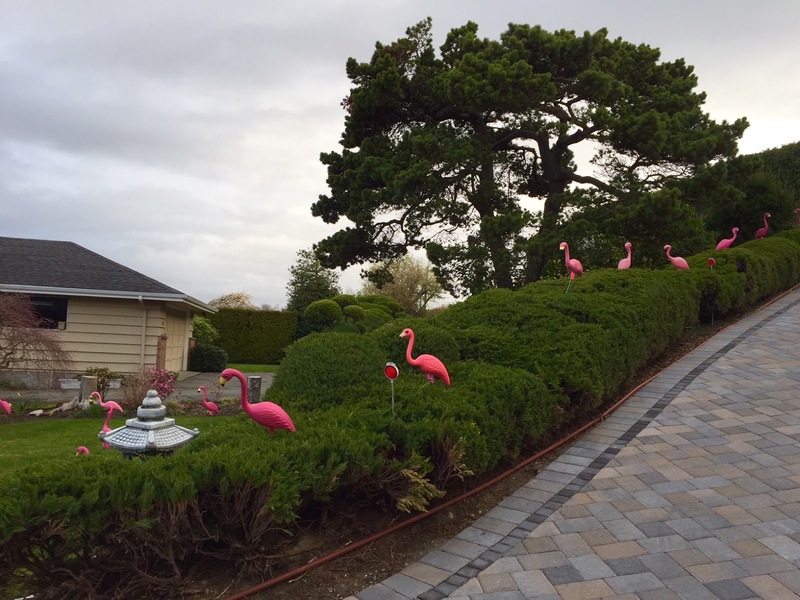 Lee Lageschulte woke up Wednesday morning to find pink flamingos all over her yard. She had been "flocked" by the Young Life youth group. There was only one solution. She dressed to match and took photos. Cue Thin Lizzy's "The Boys Are Back In Town". It's Opening Day 2018 and King Felix is on the mound. The Mariners hosted the Cleveland Indians Thursday at Safeco Field and just like every year, they start the season off tied for first and with great expectations. Could this be the year? Scott Servais is back as Skipper. Mel Stottlemeyer Jr. returns as Pitching Coach and Edgar Martinez, who must wait another year to be inducted into the Hall of Fame, promises to get the most out of each players plate appearance. Although he joined us late and struggled during Spring Training in Peoria, Ichiro is back where it all started and joining him are fan favorites Robinson Cano, Nelson Cruz, Kyle Seager and Mike Zunino. The talk of Spring Training has to be the big bat of Daniel Vogelbach, who's 7 HR and 15 RBI's lead the team and earned him the nickname "Vogelbomb". His 3 run shot against the Rockies sealed a win for the M's during their last game down in Arizona. Another exciting addition to the squad is Centerfielder Dee Gordon who's guaranteed to throw out plenty of runners looking for extra bases. MLB Veteran Scott Brosius will make his debut waving runners around 3rd and Taylor Motter (currently assigned to the Tacoma Rainiers) and Ben Gamel who could easily be mistaken for a Heavy Metal rhythm section with their signature locks, will hopefully get plenty of action in the infield and outfield respectively. Finally as is the case every year, the pitching seems to be the teams biggest concern. With David Phelps and Erasmo Ramirez both on the 10 Day DL., the M's will again pin much of their hopes on "Big Maple" James Paxton, Edwin Diaz and newly acquired free agent LHP Wade LeBlanc. Saturday's 1:10 start will be the first opportunity to add to your Bobblehead collection with Robinson Cano Bobblehead Day. So oil up your glove, don't forget your hoodie and I'll meet you at the corner of Edgar and Dave. 2018 is the Year of the Bird. The challenge is to help build a better world for birds by taking a simple but meaningful action each month. You can start by coming to BALNA’s April meeting to hear from guest speaker Christine Southwick, Shoreline’s own bird expert. Christine will talk about the importance of birds in our environment. Join us for a celebration of our winged neighbors, and learn about International Migratory Bird Day. Christine is an engaging speaker who shares her own considerable experience working with birds, and creating habitat for them. More information about BALNA, along with agendas and minutes from prior meetings are available on their website. The internationally acclaimed Moscow Ballet is returning to Seattle for two performances at the Paramount theater Thursday, November 8th, and Friday, November 9th at 7pm. Greater Seattle area dance students with one year of ballet training are invited to audition for the ancillary roles in the Great Russian Nutcracker. These roles include little snowflakes, mice, party children, snow sprites, snow maidens, Spanish, Russian, French, Arabian, and Chinese dancers. Auditions are free. Local students perform their roles on stage with the Moscow Ballet. 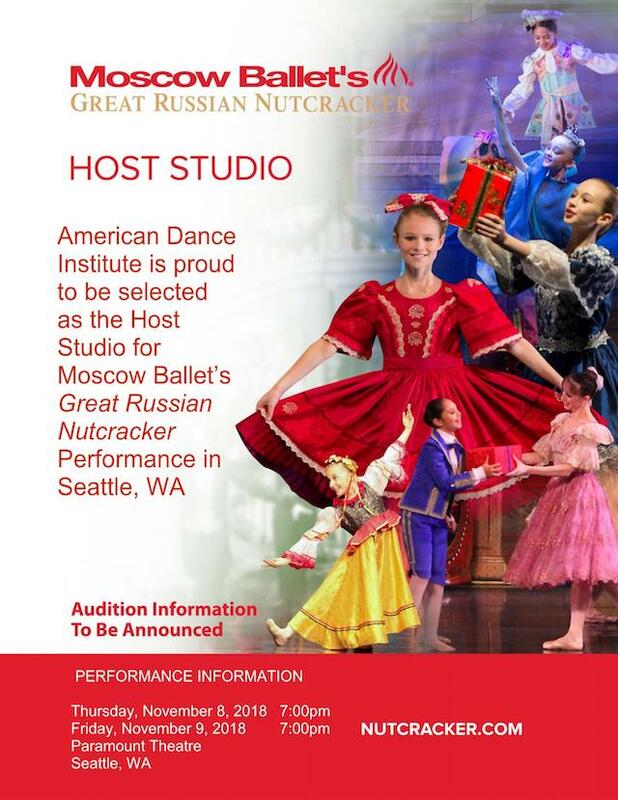 American Dance Institute with studios in Shoreline has been chosen again to host the Moscow Ballet's Dance With Us program. Dates for the youth auditions and rehearsals for the Great Russian Nutcracker performances at the Paramount Theater in Seattle will be announced soon. The Associate Dean of Nursing will direct administrative and instructional activities of Shoreline Community College's nursing programs. The Associate Dean will provide leadership and management for current and future programs related to nursing. 3-29-18 track meet at Shoreline Stadium. 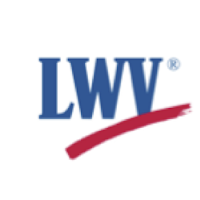 A League of Women Voters Forum to clarify both pro and con of possible solutions to Snohomish County Transportation Issues will be held Wednesday, April 18, from 6:30pm to 8:30pm at Meadowdale School Great Hall, 6002 168th St SW, Lynnwood, WA 98037. Forum Panelists include Roger Millar, WA State Secretary of Transportation; Peter Rogoff, CEO of Sound Transit; Emmett Heath, CEO of Community Transit; Josh Brown, Executive Director of Puget Sound Regional Council; David Hablewitz, Stop I405Tolls.org; Steve Marshall, Executive Director of Center for Advanced Transportation and Energy Solutions; Senator Steve Hobbs, WA State Senate Transportation Committee; and Senator John McCoy, WA State Senate Transportation Committee. Karen Madsen will moderate the Forum. The League of Women Voters of Snohomish County is a non-partisan organization promoting democracy through education and action for the citizens of our county. Membership is open to both men and women 16 years and older. We do not support any individuals or candidates for offices, but we do take positions on issues of importance to all including voting rights, public education, health care for all, and fair revenue. 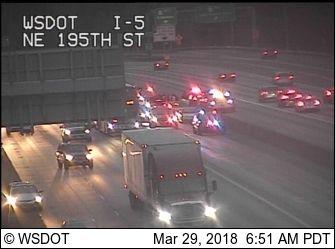 A Seattle PD motorcycle officer was injured in a collision Thursday morning on I-5 just south of NE 205th. Trooper Rick Johnson of the Washington State Patrol reported that the officer was up and talking when Shoreline medics arrived. He was taken to Harborview with unknown injuries. 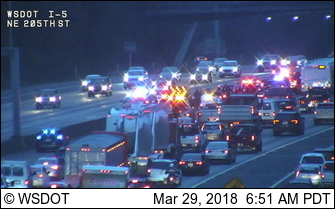 The HOV lane was blocked for an hour during investigation. His bike was down in the lane and eventually removed by a tow truck with lift. Traffic in both directions was severely impacted. The KING 5 new helicopter circled the scene for half an hour. It is unknown what the officer collided with. WesCo North League Champs Snohomish came in with a very consistent team and defeated Shorewood 6-1. The only T-Bird winner was Shay Ryder, at number four singles, winning 7-6, 6-4 with consistent groundstrokes. Many of the matches were close as the T-Bird players could not win a majority of the "big" deciding points in close games. The young Thunderbird team is continuing to improve with every match as they prepare for WesCo South league play. Shorewood defeated Lynnwood 7-0 on Wednesday March 28th to get their first league win. 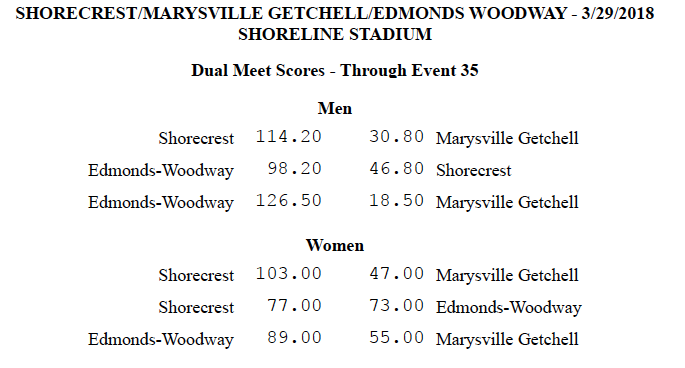 Next league match is Friday March 30th at Meadowdale. Matches start at 3:30pm. 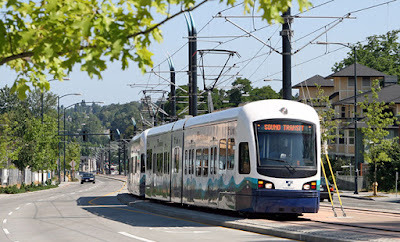 Mariners fans can bypass weekend traffic and take Sound Transit’s popular game day Sounder train to the 1:10pm game against the Cleveland Indians Sunday, April 1. A complete schedule of Sounder service to 12 Mariners games this season is available here. Weekday afternoon Mariners games are served by normally scheduled Sounder Trains. Special Sounder service is in addition to regular Link light rail service to and from Safeco Field. Link runs every 10 minutes on Sunday at the University of Washington, and in downtown Seattle. Link’s Stadium and International District stations are a short walk from Safeco Field. Fans with a valid Mariners game ticket can ride Link light rail courtesy of the Mariners on game days. Through June 3, game tickets are valid on Link starting three-hours before the first pitch through the end of Link’s regular daily schedule. Regular fares apply for all other Sound Transit services. ORCA Cards cost $5 for adults, plus whatever amount a rider chooses to load in the card’s E-purse or the cost of a pass that is good for unlimited transit trips. 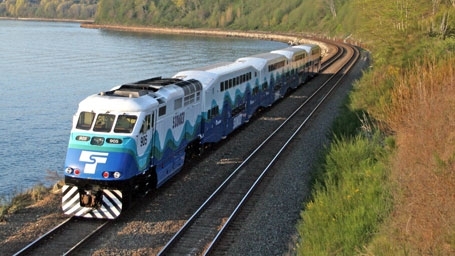 ORCA works on trains, buses and ferries throughout the region. More information is available at orcacard.com. Syre Elementary School held a diversity assembly, showcasing the peoples and cultures that make up the Syre community. Syre is part of the Shoreline School District and is located in the northwest section of Shoreline at 19545 12th Ave NW, Shoreline 98177. Sound Transit continues to refine and finalize the design of the Lynnwood Link Extension track and stations. This is an ongoing effort with input and collaboration from multiple partner agencies, engineers, contractors and artists. Stay tuned for upcoming informational forums this summer, where more details about the latest designs of each station will be shared as the project nears the 90 percent design milestone. In addition to preparing for construction, we continue to work with our federal partners to secure $1.17 billion in Capital Investment Grant (CIG) funding from the Federal Transit Administration. Earlier this month, the agency submitted a formal Full Funding Grant Agreement application, kicking off a negotiation on a final agreement that we expect can be executed this summer. While due diligence toward successful execution of this grant is ongoing, we received promising news last week that the President has signed a spending bill that includes funding for the CIG program. We will continue working with members of our Congressional delegation to advance our application. Lynnwood Link will be gearing up for active pre-construction work throughout this year, with major work anticipated to start in late 2018. You can expect to receive project-wide updates about construction this fall. In the meantime, we are actively working with the cities of Seattle, Shoreline, Mountlake Terrace and Lynnwood to get ready for construction. You may receive more local information regarding preconstruction activities such as utility work, demolition, clearing, grading and permitting processes in your neighborhood. 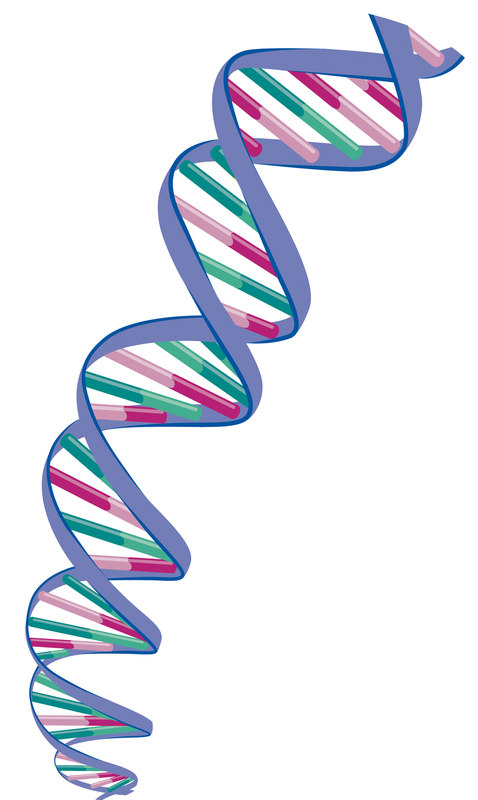 Basic DNA for Family Historians is the topic of the program at the Sno-Isle Genealogical Society monthly meeting on Wednesday, April 4, 2018. A short business meeting at 6:30pm will be followed by the program at 7pm given by Janice Parker Allred. Are you afraid to take a test? Do you know which test you should take? Do you know which company you should use? 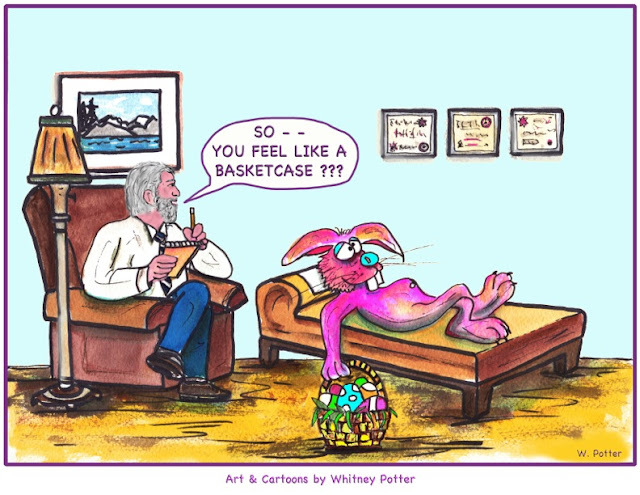 Do you know what a test will tell you? 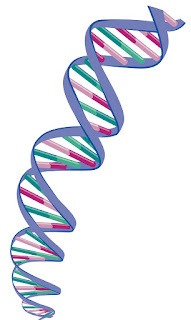 Do you know how DNA testing can help you with your family history research? All these and more will be discussed when the society meets at the Family History Center, 22015 48th Ave W, Mountlake Terrace. Guests are invited. For more information call 425-775-6267 on Tuesday, Thursday, or Saturday, 11am - 3pm. Did you find Dan Short? Many of you did! 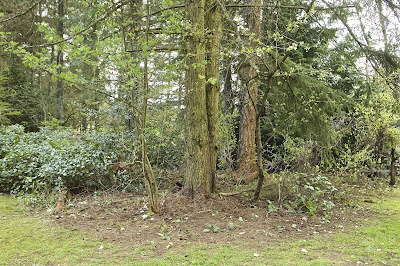 He was on NE 185th just before 10th NE, staring at the hill which was once called "Motorcycle Hill." Story is that before the street was paved, motorcyclists used to ride up and down the hill at high speeds, doing wheelies and U-turns. Reportedly one of them skidded and died there. If you got this one right - congratulations! If you didn't - there will be another chance next week! Attendance is free, RSVP requested, but not required. In 2017, more than 50% of the IT organizations in this country have adopted Agile, and the demand keeps growing. Why? What is so compelling about Agile? This meeting will start with a short introduction to Agile, and then Aki will use the interests of the audience to guide the rest of the conversation. Topics can include, but are not limited to: Agile adoption, Agile practices, benefits of Agile, and trends in Agile organizations. Bring your burning questions to the meeting for a fun engaged dialog about Agile, Scrum, XP, etc. 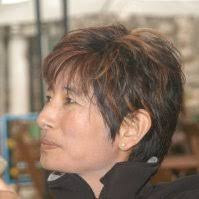 Aki Namioka has been an Agile practitioner since 2002 and a Certified Scrum Master since 2010. She is currently a Senior Agile Consultant with Plaster Group, and has helped several organizations transform into high-functioning Agile teams, using XP, Scrum, and Kanban. Aki’s background includes Boeing, IBM Global Services, and Cisco Systems. Her clients include Starbucks, and Puget Sound Energy. Aki enjoys learning from others in the Agile community, and is on the Steering Committee for BeyondAgile, on the Board of Agile Open Northwest, and was co-chair of Agile Open Northwest 2018. North City Tech Meetups follow an every-other-month schedule. One month we feature a speaker and alternate months are general discussions. You can visit the Meetup.com page for each month’s topic. 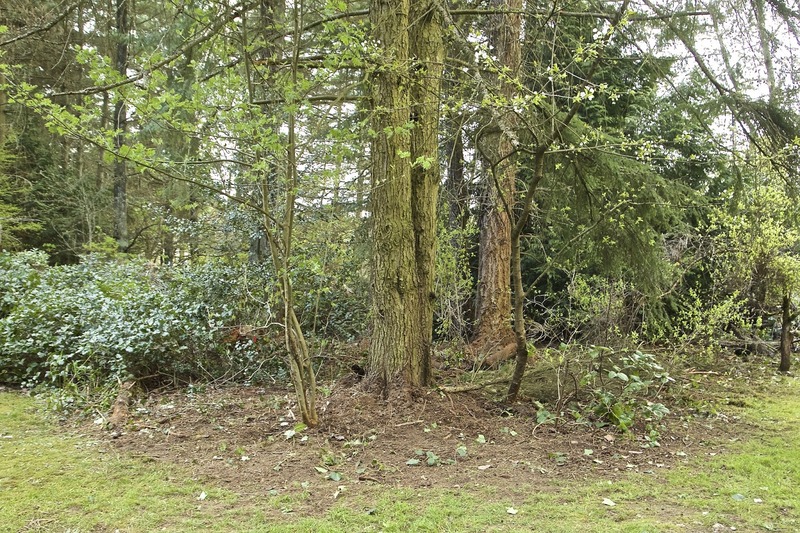 Join WNPS Master Native Plant Stewards and volunteer in April and May to help restore urban forests across the City of Shoreline. Five different projects and 10 different community work parties. 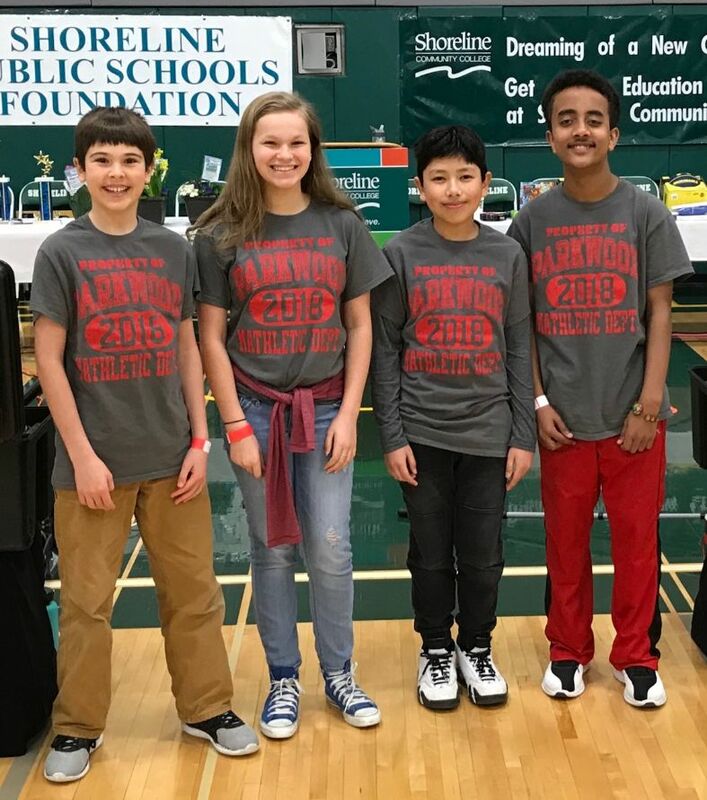 The 20th annual Shoreline Math Olympiad was held on Saturday March 10, 2018 on the beautiful campus of Shoreline Community College. Over 750+ students participated this year from public and private schools in Shoreline and Lake Forest Park. It is a free event open to all 4th – 8th grade students who want to challenge themselves with fun individual and team tests in math. 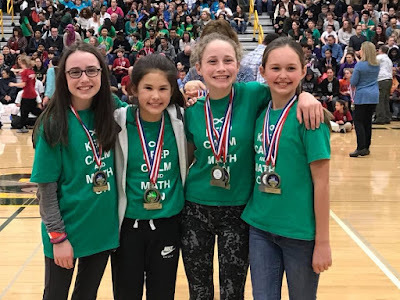 After the entertaining antics of the Alex Zerbe, “The Zaniac” wowed the crowd, the event sponsors and city, college dignitaries helped hand out medals to the Mathletes. 2018 School Participation Results - Awards to the top three schools based on the percentage of eligible school students participating in the event. 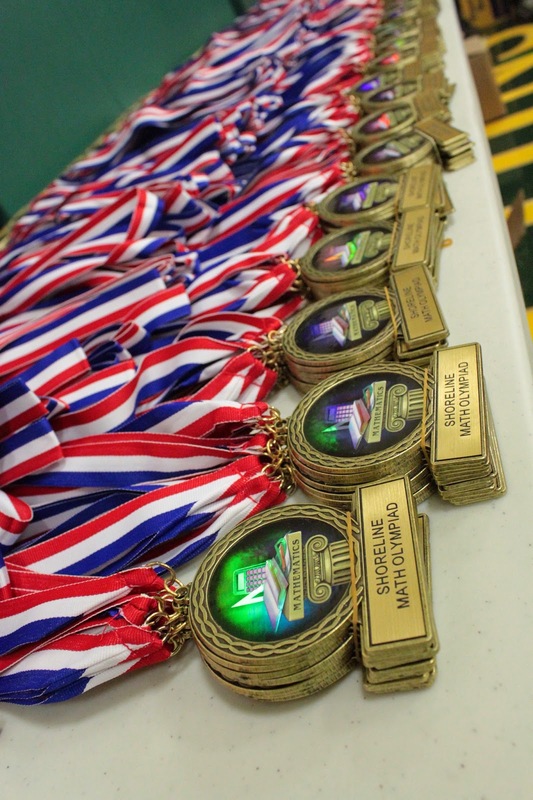 Shoreline Math Olympiad awards medals to the top 40% of the individuals participating, and the top 60% of teams participating. "We do not break ties." If there are many award winners starting at 1st place, medals for the top 40% or 60% students will vary. Team and Individual Awards listed on the NEW WEBSITE located here! Save the date for the 21st annual Shoreline Math Olympiad next year on Saturday March 9, 2018! Results, practice tests and details will be listed on the website closer to the date. The U.S. Department of State Passport Services has increased the fee passport acceptance agencies are required to charge applicants who submit their passport applications in person. Effective Monday, April 2, 2018, the acceptance fee increases from $25 per applicant to $35 per applicant. Fees for the passport book and card remain unchanged. 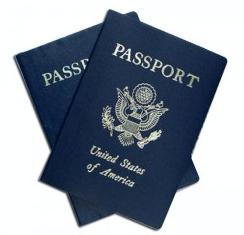 Please check here for specific information about those passport fees. The City of Lake Forest Park is open for passport services at City Hall on Mondays, Thursdays, and Fridays from 12:00 to 4:00pm; and Saturdays from 10:00am to 4:00pm, with the last application taken at 3:30pm on Saturdays. Passport services is closed on legal holidays. Some applicants are eligible to renew their passports by mail. Please check here for information about renewing your passport by mail. To access the U.S. Department of State Passport Services website, click here. Through this website, applicants are asked a series of brief questions and then directed to the appropriate form (apply/renew in person or renew by mail). 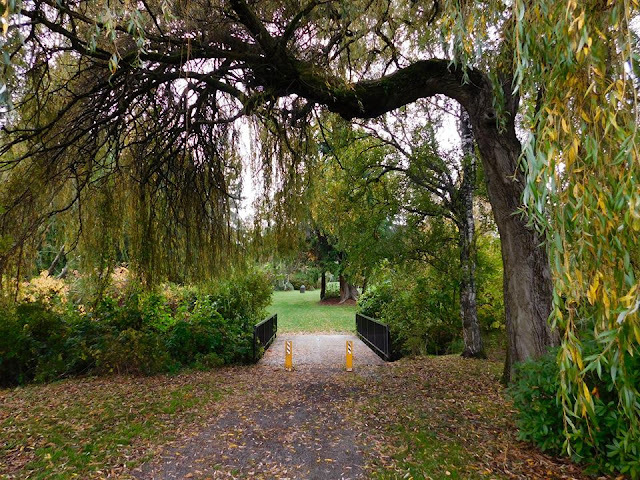 Join walk leader Alice on Sunday, April 8th at 9:00am for a free walk around the Ridgecrest Neighborhood exploring some of the less visible parks in the area - Ridgecrest and Northcrest. This is the first walk of the year, part of the City of Shoreline’s free community program “Shoreline Walks”. The guided walk begins at the Crest Theater, 16505 5th Ave NE and is two miles long with a rating of “moderate” which includes some hills. Rain or shine! The “Shoreline Walks” community walking program helps Shoreline adults stay active, meet new people (or connect with old friends) and feel safer and more confident exploring our city by foot. No need to sign up, just show up with your walking shoes! More information on Shoreline Walks here or call Recreation Specialist, Marianne Johnson at 206-801-2638. 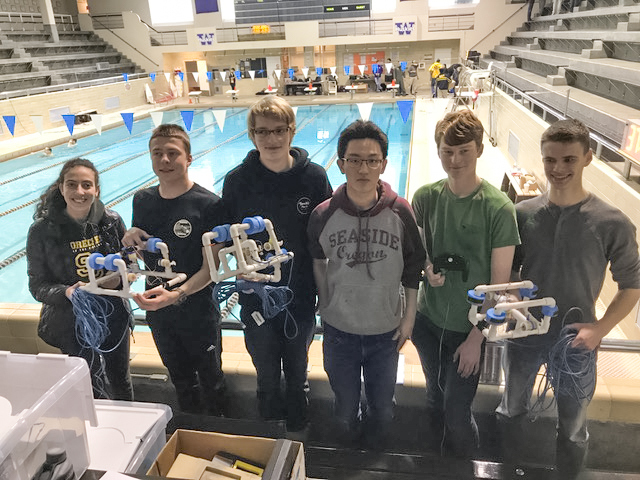 Students from Shorecrest High School's advanced engineering and advanced robotics recently participated in the regional SeaPerch underwater drone competition on March 17. After weeks spent planning and building underwater remote operated vehicles (ROV), three Shorecrest teams made the cut to participate in the regional competition against 27 other teams. 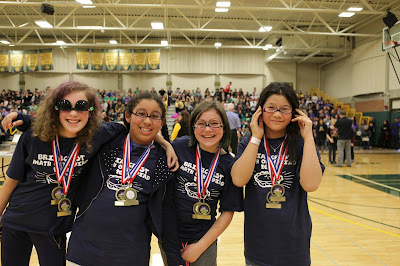 The teams and their ROVs competed through obstacle courses, underwater object movements and presentation of their engineering notebooks to a panel of judges from the U.S. Navy. All three teams did extraordinarily well for their first competition. Team 6 (Sam Rowbotham and Eric Yun) placed second overall and qualified for the national competition to be held in Dartmouth, Massachusetts this June. Team 6 also took 2nd place in the object movement challenge. Team 1 (Jason Zevenbergen and Andrew Thompson) placed 3rd in the obstacle course. Teams 1 and 6 were joined in competition by Team 3 (Haidi Ghobrial and Jack Stoecker). The teams were advised by Kari Potter and Emily Slack. The Amber Alert system did its job as a 5 year old from Lake Forest Park was located 45 minutes after the alert was issued. On March 28, 2018, Taraille Chesney entered the home of the child's grandmother in Lake Forest Park and forcefully abducted his 5 year old son. The grandmother was the legal custodian and Chesney, a violent criminal with an extensive rap sheet, did not have permission to be on the premises. Lake Forest Park Police, responding to a 911 hang up, briefly pursued him as Chesney recklessly drove away. He stopped at a convenience store and gas station. He took the boy inside and bought him some candy. As they were attempting to leave, Chesney reportedly backed into another vehicle. He stopped to talk to the other driver, then said he had to leave because his son was sick, and drove off. Meanwhile, tips were coming in from multiple people who spotted him or the vehicle in Seattle's University District. He was involved in several collisions before Seattle Police cornered him at 15th NE at NE 63rd in Seattle. 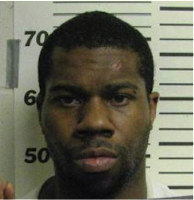 Seven police vehicles with almost a dozen deputies boxed in his vehicle. Officers pulled a male passenger out of the front seat. They were able to remove the boy from the car without apparent interference from the father. Finally, the father was pulled from the vehicle. The boy was checked out at Harborview and released. The father was taken away by ambulance, reason not specified. The father will be charged with custodial interference, child endangerment, reckless driving, DUI, violating a protection order. Lake Forest Park Police Chief Steve Sutton praised the swift action of the Seattle police department, and the effectiveness of the Amber Alert system.